System Restore error 0x81000203 on a recent computer here, “Volume Shadow Copy” was set to manual and service was running. 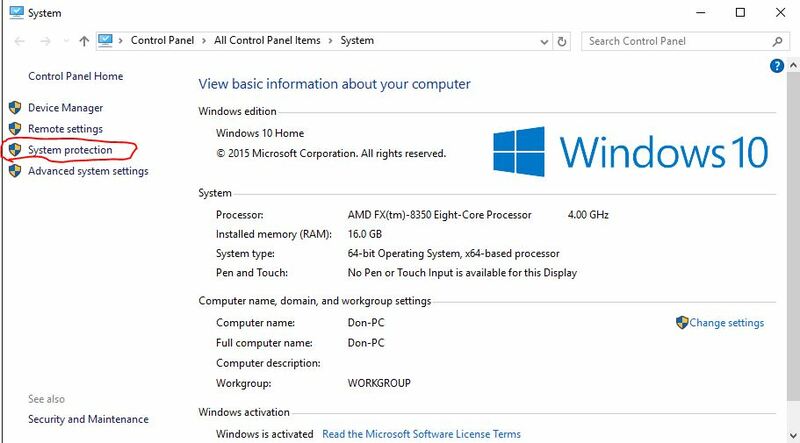 “Microsoft Software Shadow Copy Provider” service was set as “disabled”… not running. “Microsoft Software Shadow Copy Provider” was the cause (disabled) of this system restore error 0x81000203. Both “Volume Shadow Copy” & “Microsoft Software Shadow Copy Provider” Services should be set to manual or automatic start up. On my Windows 7 machine with a working system restore, both services by default are set to manual startup. They start manually as you access system restore. Automatic setting will do fine also. One of them being set to disabled, system restore will not work. Service settings for both services should be the same for Windows 8, 8.1, 7 and Windows 10. “Microsoft Software Shadow Copy Provider” if set to disabled, double click & change Start Up Type to Manual or Automatic. Click apply & ok. Upper top left of the “Services” window you’ll see where you can start the service (or stop) if it was set to disabled. “Volume Shadow Copy” if set to disabled, double click & change Start Up Type to Manual or Automatic. Click apply & ok. Upper top left of the “Services” window you’ll see where you can start the service (or stop) if it was set to disabled. 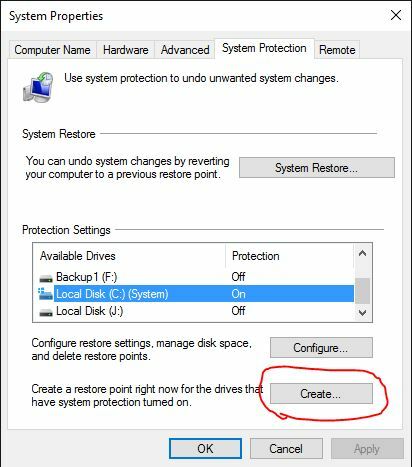 Once System Restore is back functioning, it is best to manually create a restore point. With one or both services above not running, you more than likely that your system restore points have been wiped out. Volume Shadow Copy & Microsoft Software Shadow Copy Provider services should be set to manual at least, by default. If either was disabled it is the usual work of viruses, malware or “junkware”. Would advise scanning your system with an on demand malware detection program like Malwarebytes Anti Malware. I did it, but didn’t solve the problem with the System Restore, both services are running.